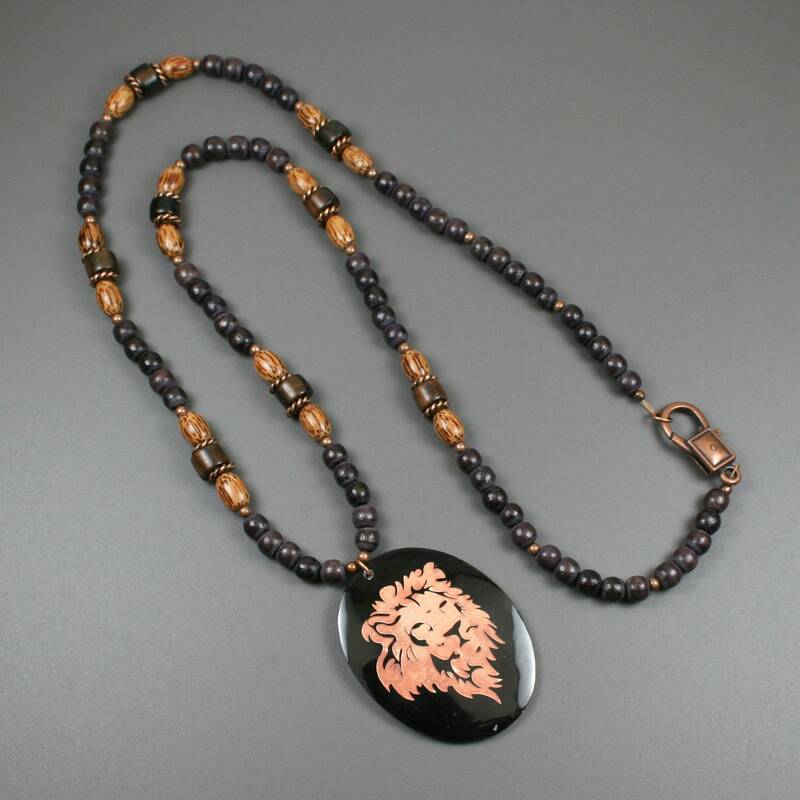 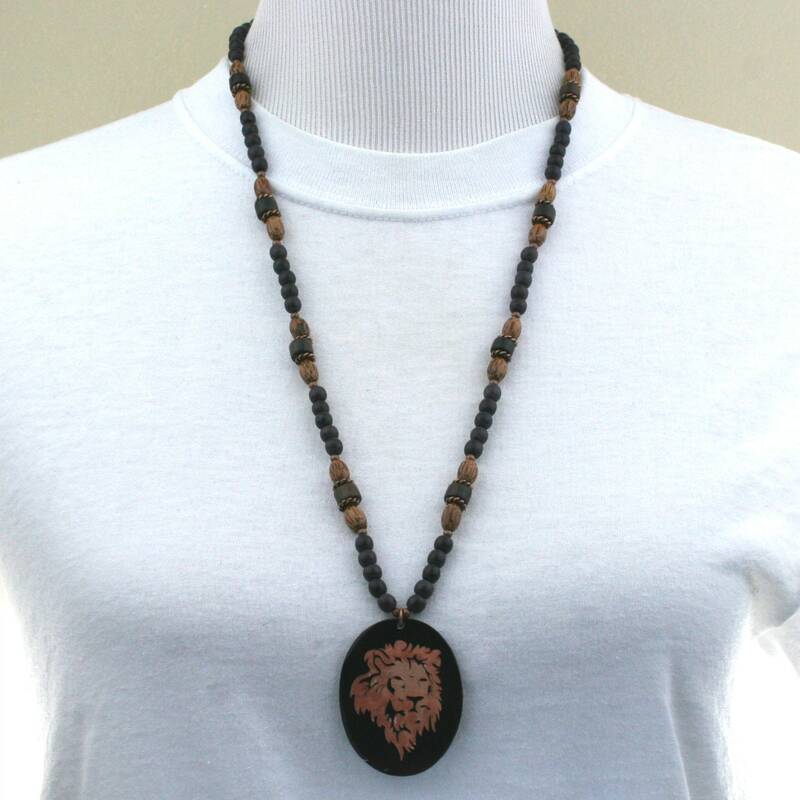 This pendant is made from an oval brown noble pen shell with a lion etched on the surface. 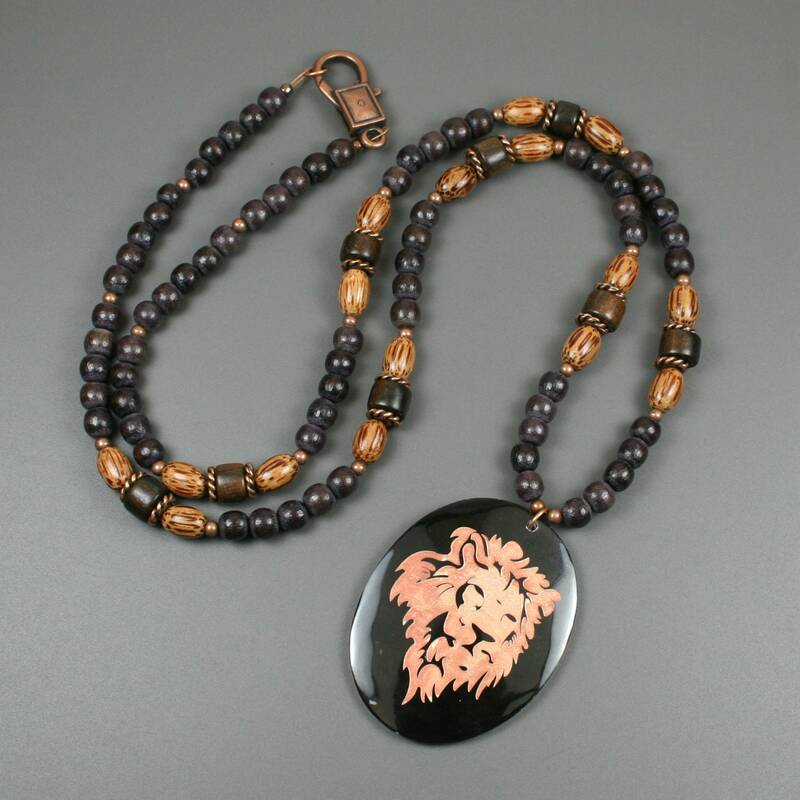 It is approximately 51 mm long and 40 mm wide. 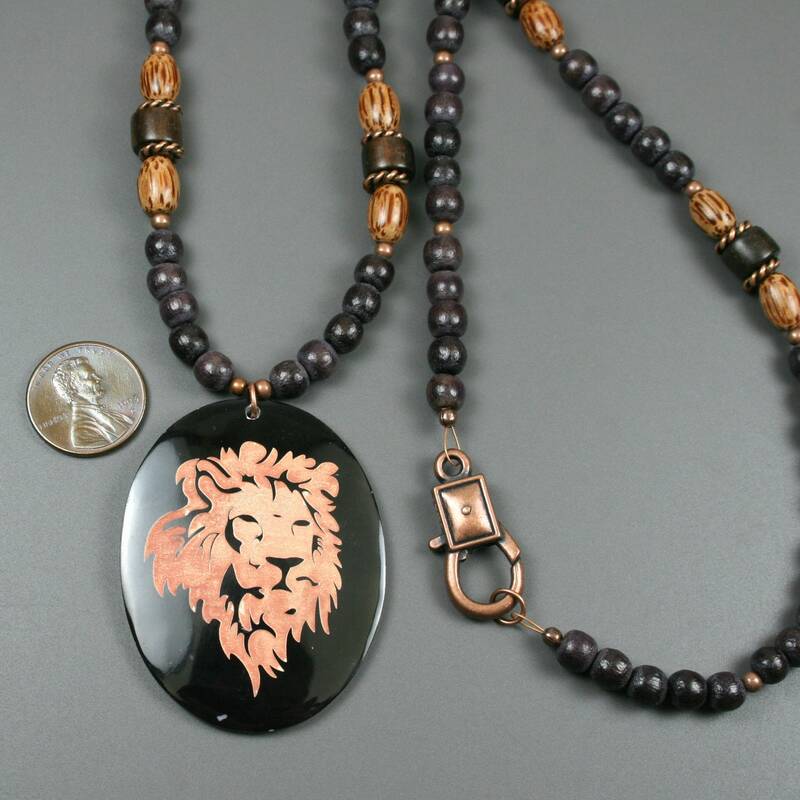 The necklace is strung on wire and is approximately 29 inches long and closes with a large antiqued copper lobster clasp closure.